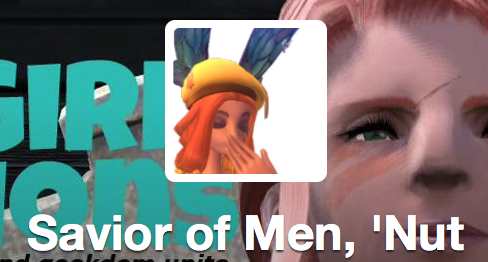 First, I have to mention my new unofficial title, thanks to Captain Codfish on Twitter. We were discussing hair dye/makeup, and a conversation transpired resulting in me “saving men everywhere”. So, he gave me a new title. Which then led to this. Thanks to Ravalation, I stumbled upon the Female Geek Bloggers G+ group. They do a writing prompt every Friday called 5 Fandom Friday. The topics seem fairly interesting, and I enjoy reading other responses to the topics. The idea is to take the topic, and combine it with your various fandoms. For example, last week was “Five things you own that you bought at cons”, and the start of the month was “Five favorite aliens”. This week, the topic is: Five Fictional Vehicles I’d Love to Travel In. So, here are my five vehicles in no particular order of importance. I think this is kind of a given. Anybody who is a fan of Firefly would want to take a trip on the Serenity. Honestly, I think most of us would like to live there. I really can’t wait to get more of the comics so I can read the official cannon on what happens with the crew. Because, really, who didn’t get involved in the lives of these characters? I feel almost cliché stating that I’d love to go for a ride in the TARDIS. But honestly, it would mainly determine on whom the Doctor was. Because not all incarnations are the same. Regardless, I think the TARDIS is extraordinary, and I’d love to meet her–even in human form! Plus, that episode was totally written by Gaiman. And it was amazing. I was able to put aside my disdain for Smith and enjoy an episode fully! This is honestly mainly for the crew. The Space Station itself doesn’t move, ergo I wouldn’t consider it a vehicle, and I want to spend time with all of them. Seriously. This is one show I can’t help but fan-girl over. I’ve signatures of about half the main cast, and I’m aiming to finish my collection. Meeting Avery Brooks, René Aberjonois, and Armin Shimerman is pretty much the highlight of my Geek Experiences so far in my life. Even just the few minutes I was able to speak to them, shake their hands, and get their signatures. This is probably my first and foremost fandom. I’d like to ride it mainly to experience the Wizarding World. I enjoy the books, even though I don’t care for the character of Harry Potter himself. I especially despise sharing a birthday with him (though don’t mind sharing one with J.K. Rowling). I much prefer Neville (since the first book!). And I could totally hang out with Neville if I took the Hogwarts Express over to Hogwarts. I’d also really like to own a speeder bike to traverse around. It’d be much more interesting than my crap van, that’s for sure. Plus, Leia looked so badass riding one, what adventurous woman wouldn’t want to ride one around? Great picks, I would love to go to Hogwarts in the Hogwarts express. So many great picks I kick myself when I see things I should have included in my list! Some time 5 just ain't enough!